Of course, you can provide customers with additional services like gift wrapping and insurance for free, but it is not always the most effective business decision. With the default Magento, you cannot offer extra fees for services you need. Therefore, we would like to draw your attention to Amasty Extra Fee for Magento 2 and 1. 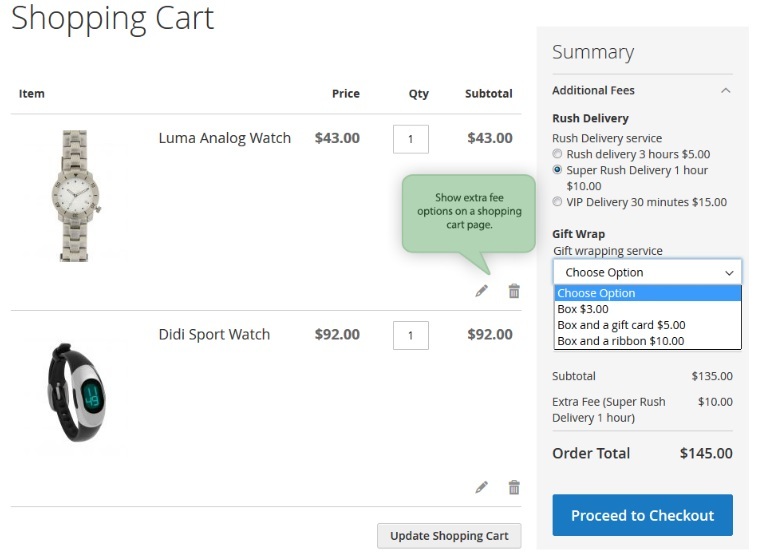 With the help of the module, you will be able to add a block with multiple additional fees to checkout and cart pages. Thus, your buyers will get an opportunity to choose the necessary extra services and appropriate fee options before completing the purchase. This Magento 2 extra fee extension enables you to create both percentфпу and fixed price fees, utilize different input types, as well as show additional info for each fee block. Multiple extension features are described below. Amasty Extra Fee for Magento 2 and 1 provides the ability to create an unlimited number of extra fees. Next, you can place fee blocks on cart and checkout pages. It is also necessary to mention that the extension offers flexible conditions to fine tune the new feature. Thus, you can create fees on the basis of payment and shipping methods; include/exclude taxes while calculating fee amount (as well as discounts); choose between fixed price and percent fee types; utilize numerous input types; customize fee options according to store views and customer groups; specify descriptions for each fee block; and more. Now, let’s find out some advanced price calculation options this Magento 2 extra fee extension offers. First of all, Amasty Extra Fee for Magento 2 and 1 enables you to choose the base for fees calculation. As a Magento admin, you can specify a price that should be set as a percent fee calculation base. Besides, the module enables you to include/exclude discounts and additional taxes when generating a new fee. As we have already mentioned, you can use a fixed fee amount in addition to a percent price type. It is up to you to decide whether to set $5 or a specific percent from the cart subtotal for insurance or other additional services. In both cases, Amasty Extra Fee displays calculation results to customers. As for flexible settings for fees display, the Amasty Extra Fee extension allows you to determine the way fees are shown and used on the basis of multiple conditions and condition combinations. Thus, you can fully leverage cart and product attributes to make the usage of your fees blocks more precise. Note that individual taxes can be charged for particular products or even items from a specific category. Extra fees can be charged based on payment and shipping methods. Thus, you can easily surcharge 7% for the DHL Ground shipping method, as well as add an extra fee for the “cash on delivery” method. As for specific store views and customer groups, they can be used as a reason for extra fees to be charged. Furthermore, the extension lets you improve customer experience by translating fee options to different languages for each particular store view. It is also necessary to mention that Amasty Extra Fee offers the following three input types: Dropdown, Radio buttons, and Checkboxes. Another important feature is related to default fee values: you can specify a default value that will be automatically applied unless a shopper selects another one. Note that the Magento 2 extra fee extension allows adding multiple fees blocks to cart, checkout, and success pages, so your customers can not only apply necessary option but immediately get the final sum that includes extra fees. As for new features in the admin area added by the module, extra fees can be added to the orders created in the backend, as well as when modifying an existing order. Action (you can edit the fee here). Note that you can delete, disable, or enable fees in bulk. Besides, it is possible to apply filters, rearrange the existing order of columns, as well as show/hide certain columns. 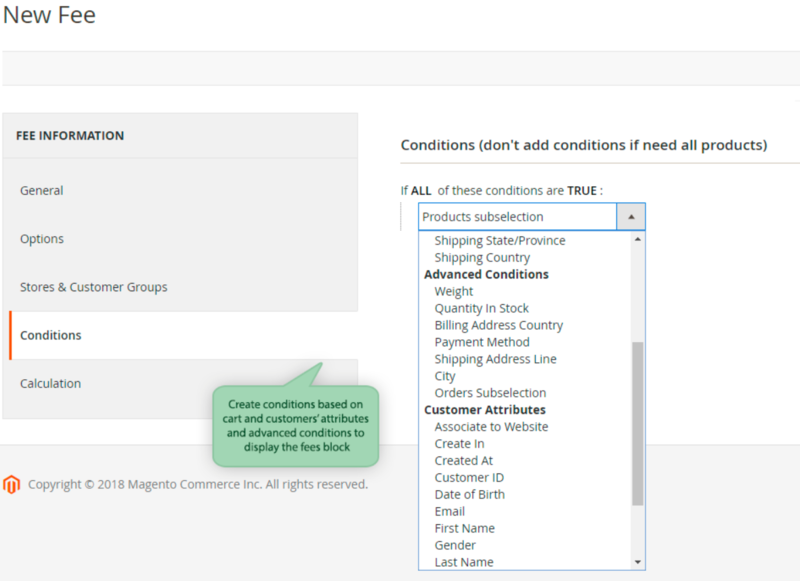 While adding a new fee with the help of the Magento 2 extra fee extension, you have to deal with five tabs of options: General, Options, Stores & Customer Groups, Conditions, and Calculation. The General tab Contains such options as Name (name of the fee), Enabled (its status), Type (Checkbox, Dropdown, or Radio Button); Sort Order (the place of the fee in the block), and Description. The next tab lets you add an unlimited number of options. You can choose the default option, specify its price, choose the type (fixed or percent), and create a description for admin and store view. Each option can be deleted. 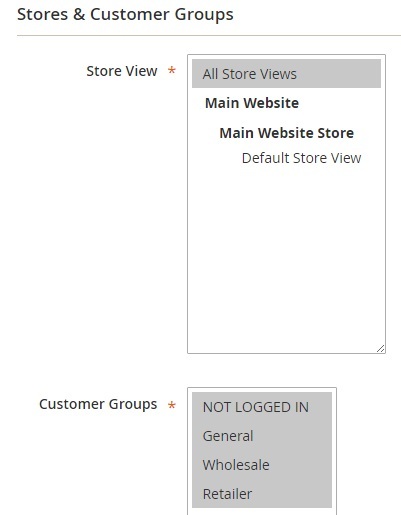 The Stores & Customer Groups tab contains two sections: Store View and Customer Groups. Use the CTRL button to select several items. As for the Conditions tab, it lets you make your fee even more precise with the help of attributes. Use the “If ALL/ANY of these conditions are TRUE/FALSE” statement. 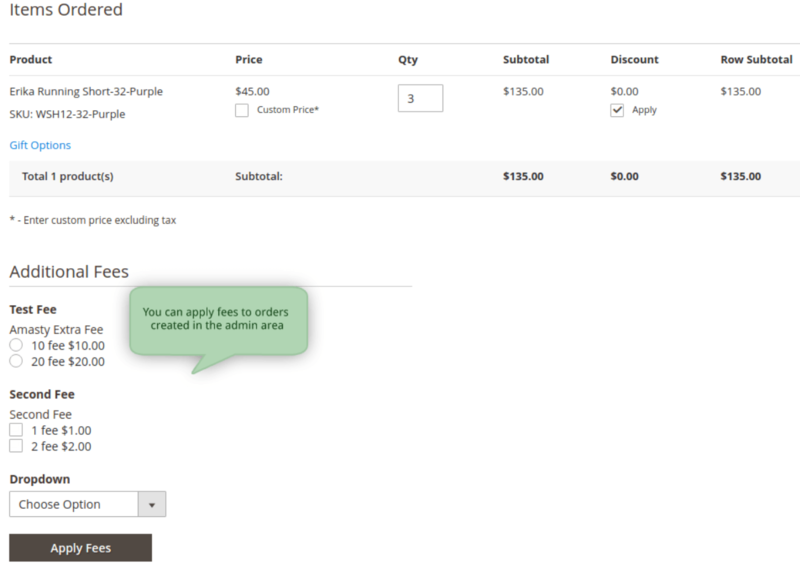 In the Calculation tab, you decide whether to include discount, tax, and shipping in subtotal for a fee. As for the general settings of the Magento 2 extra fee extension by Amasty, they are available under Stores -> Settings -> Configuration -> Amasty Extensions -> Extra Fee. There are three groups of settings here: Calculation, Tax, and Frontend. In the Calculation section, you choose whether to include or exclude discount, tax, and shipping in subtotal when calculating extra fees. The Tax tab allows selecting which tax class should be applied. The Frontend settings let you display or hide extra fees on the cart page. Below, we show how additional fees are displayed on a cart page. In this example, as you can see, there are two blocks: Rush Delivery (with radio buttons) and Gift Wrap (with drop-down). Each block contains a short description (if it is specified in the backend settings). New address condition was implemented: ‘City’. Information section is added to the Configuration page. 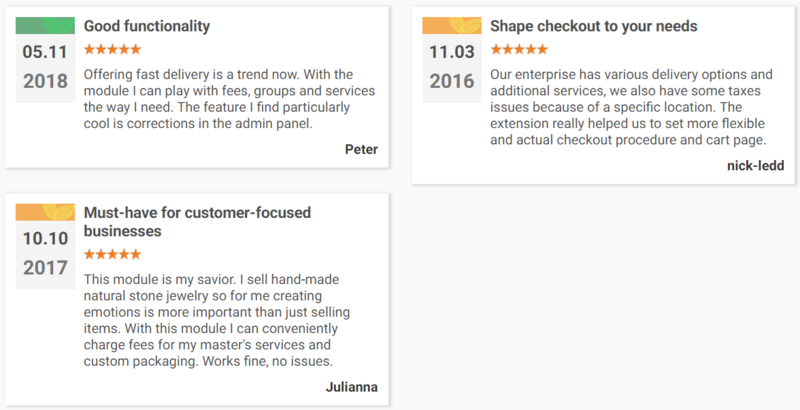 Customer attributes were added to conditions. A few new conditions added to be used for fees display on the frontend. New rule conditions were added: ‘Shipping address line’, ‘Payment method’, and ‘Billing country’. A new option was added: now fees can be applied to orders created in the admin area. A new setting was implemented: you can set to show or hide a fee tax value in the fee line. An extra fee for the totals at the checkout success page can be added now. New options to calculate fees based on shipping/tax/discount amounts were added. 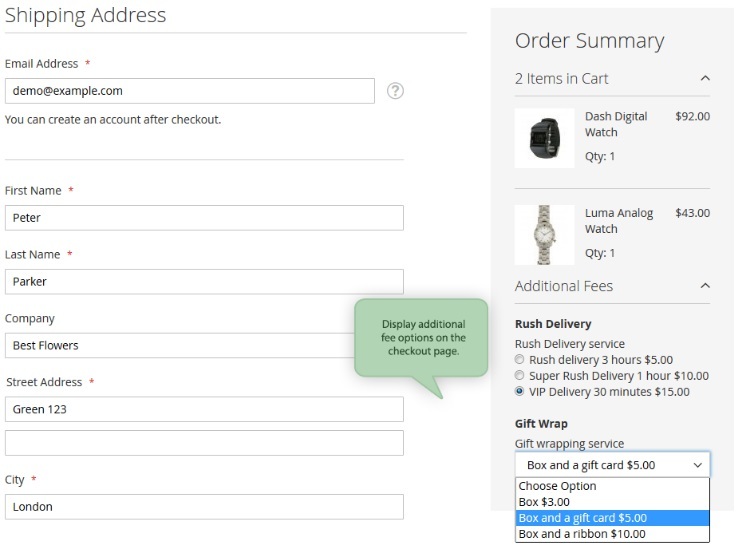 Now you can set how to calculate the fees: include or exclude shipping prices, discounts or taxes. Apply these settings to all of the fees at your store or choose custom settings for a particular rule if you need. 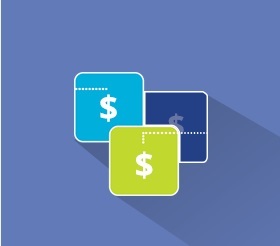 This option gives you more flexibility when it comes to pricing adjustments. Perhaps, Amasty Extra Fee Magento extension is the best tool for charging fees for additional services. The extension provides flexible backend settings and an intuitive interface on the frontend. As for the price, it depends on the Magento version: M2 module costs $249, while the M1 extension is just $99.